St. Louis is a food town, and there are many restaurants that have captured the heart of the city. Some of them are no longer around. Rossino's low ceilings and even lower pipes didn't stop the pizza-hungry residents from crowding in. Jefferson Avenue Boarding House served elegant "Granny Food" in plush surroundings. King Burgers and onion rings ruled at Parkmoor. Dohack's claimed it was the first to name the "jack salmon." 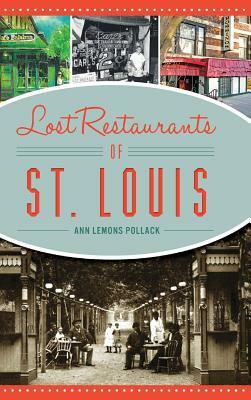 Author Ann Lemons Pollack details these and more restaurants lost to time in the Gateway City.